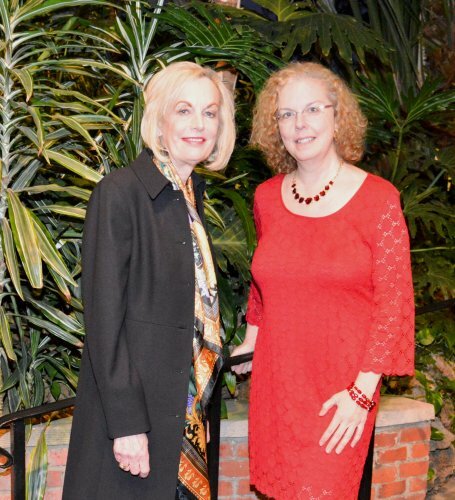 The Phipps Conservatory and Botanical Gardens in Pittsburgh was the setting for the presentation of the 2015 Temple Grandin Award to Dr. Maureen Barber-Carey, executive vice president of the Barber National Institute. 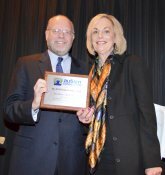 Dr. Barber-Carey was among 16 nominees for this year’s award. In her acceptance speech, Dr. Barber-Carey recalled a conversation that occurred more than 20 years ago when she told her aunt, Dr. Gertrude Barber, that the school was seeing a dramatic increase in the number of students with autism. The pair initiated plans to bring autism experts to Erie, and to send staff across the country for training. “Our goal was to ensure that our programs would reflect our earnest desire to offer the most current and best possible practices and methodologies for teaching children on the autism spectrum,” Barber-Carey told the crowd. The award is presented during a gala held at the historic landmark that houses two floors of exotic plants and flowers and the replication of a tropical rain forest. Entertainment included live jazz by the Tania Grubbs Trio. The award is named after the best selling author and famed animal researcher, Temple Grandin, who overcame many challenges associated with autism.